Looking backward, I can see a little table, two cane-bottom chairs, and a secondhand typewriter in one corner of the county agent’s office in the basement of the courthouse in Columbia. A little sign on the table read ‘The Tennessee Farm Bureau’. It was a good thing the sign was there, else we might have been overlooked. Maury County native and the first president of the Tennessee Farm Bureau, Joe Frank Porter, wrote that paragraph. The Williamsport farmer was reminiscing about the humble beginnings of the nation’s largest state Farm Bureau in the 25th annual report of the organization in 1946. The Tennessee Farm Bureau Federation had its start because of farmers like Joe Frank Porter, wanting something better for the farming communities across our state. 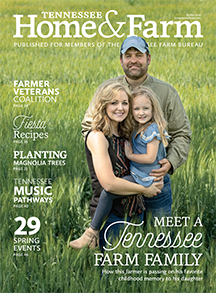 Today’s Tennessee Farm Bureau Federation has a membership of more than 665,000 family members and is the largest state Farm Bureau in the nation. However, when it began in June of 1921, the membership was small and the services it offered were few. The agricultural leaders that formed it, operated mostly on faith that someday they would have the opportunity to provide a better way of life for rural Tennessee. Joe Frank Porter was selected as the organization’s first state president and due to the fact that he lived in Maury County, it was only natural for the first office to be located here. Travel was difficult in those early days and locating the office near the organization’s president was the most logical and economical thing to do. Mr. Porter served as president for twenty-five years, retiring in 1946. The state office remained in Maury County due to Mr. Porter’s leadership and the excellent location for travel of the state. Because of his efforts on behalf of Tennessee agriculture, he was inducted into the Tennessee Agricultural Hall of Fame. The Hall of Fame requires that three bronze plaques be cast with one located in the home county of the recipient, one hangs at the Tennessee Department of Agriculture, and the third at Morgan Hall at the University of Tennessee Institute of Agriculture. The bronze plaque honoring Mr. Porter in his home county is located in the lobby of the Tennessee Farm Bureau Federation building. For the first 17 years, Tennessee Farm Bureau did not own any real estate. It moved around the town, renting buildings as growth required additional room. In 1925, offices were rented in the upstairs of the Polk Memorial Association building on West 7th Street and continued there for 12 years. This building is known today as the ancestral home of the 11th President of the United States, James K. Polk. In 1937, Tennessee Farm Bureau purchased a home on North High Street. It is no longer standing, but was located across the street from the First Methodist Church’s educational building. The organization moved again to a house on West Seventh, located across the street from West Seventh Street Church of Christ. In 1952, a new office building was built on the Nashville Highway. In 1968, with continued growth in services and membership, the Tennessee Farm Bureau built a new modern office building with 58,000 square feet of office space on Bear Creek Pike. A north wing was added to the building in 1975, a fourth floor was added in 1983, and an additional 58,000 sq. ft. was added again in 1997. The current building has over 144,000 square feet of office space, meeting rooms, cafeteria, and printing/mailing facilities. The Tennessee Farm Bureau is unique in the fact that an organization of this size and operated by volunteer leadership has only had eight state presidents. They are Joe Frank Porter, 1921-1946; Tom J, Hitch, 1946- 1961; Clyde M. York, 1961- 1973; James S. Putman, 1973-1986; Joe W. Hawkins, 1986-1995; Flavius A. Barker, 1995-2005; Lacy Upchurch, 2006-2015; and Jeff Aiken 2016-present. The president of the Tennessee Farm Bureau is elected by the membership and serves as the organizations administrator in a full-time capacity. Each has resided in Columbia and made their home here. 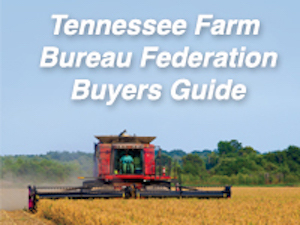 Over its many years of existence, the Tennessee Farm Bureau has provided many services for the membership of the organization. It began as an organization lobbying for the betterment of its members. Much of the legislation we have today is because of the Farm Bureau and its early efforts. The organization continues to work with agricultural legislation and has full-time lobbyists working in Nashville. The Public Affairs Department works daily providing help for members in areas such as private property rights, taxation, regulations, and other legislative issues facing the membership. The organization also provides many services for the membership. In 1948, the Tennessee Farmers Mutual Insurance Company was founded to provide affordable insurance for rural Tennessee. 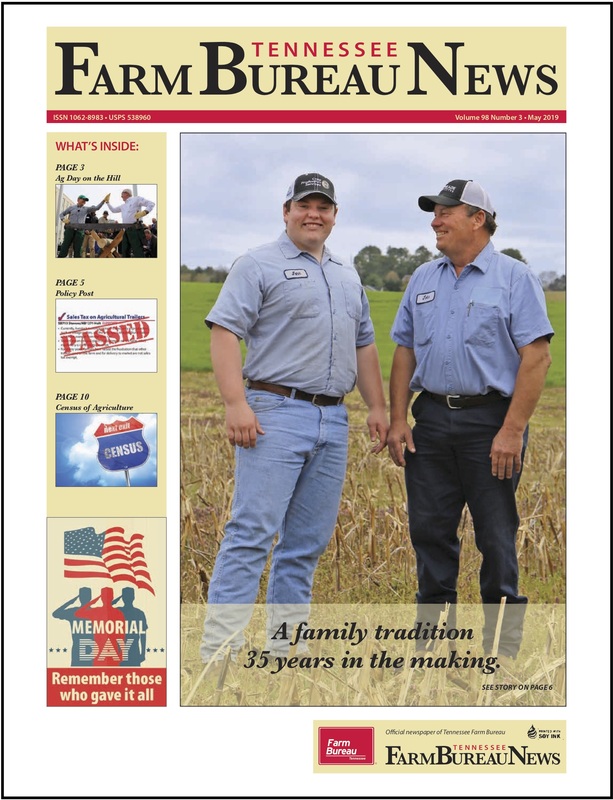 Tennessee Farmers Life Insurance Company was begun in 1973 adding another outstanding member service to the Tennessee Farmers Insurance Companies operation. Today these companies insure more home and automobiles that any other insurer in Tennessee, are the second largest writer of individual life policies in the state, and were recognized by J.D. Power as the highest in customer satisfaction among auto insurers in the Southeast Region more than five times. The companies insure 1.1 million automobiles, 600,000 properties and have $31.5 billion of total life insurance coverage on the books. Access to adequate health insurance was a problem for rural Tennesseans for many years. In 1947, the Tennessee Farm Bureau addressed this issue by founding Tennessee Rural Health to promote health and safety awareness and to make health coverage available to its members. Undergoing a name change in 2015 to be better identified as part of the Farm Bureau family, TRH services now go by Farm Bureau Health Plans. They are now the largest private health coverage group in Tennessee providing affordable, quality health care coverage, offering a wide range of health care plans. The organization also provides tax services for its membership, recording keeping, property protection reward programs, livestock marketing services through its Tennessee Livestock Producers organization, youth programs, women’s activities, and many other farm related activities. As of October 2017, the number of Tennessee Farm Bureau and affiliate service companies’ employees has risen from just one (Mr. Porter) in the early 1920s to over 1300. More than 750 employees currently work at the TFBF home office in Columbia and across the state there are more than 500 full-time insurance agents and 84 income tax practitioners located across the state that work out of more than 200 Farm Bureau offices.